State-of-the-art heavy engineering in the North East, traditional manufacturing processes in the Midlands and on Merseyside, and one of Wales’s greatest export stories have all been celebrated in this year’s Made in Britain Photography Awards 2013. The awards organised by the EEF, the manufacturers’ organisation, and supported by The Times were handed out in a ceremony today at the House of Commons. The winner of the professional category was Mike Smith for his image of an HDIA – heavy duty inter array – plough, which cuts trenches on the seabed of up to eight feet deep to link offshore windfarms by power cable to onshore substations. 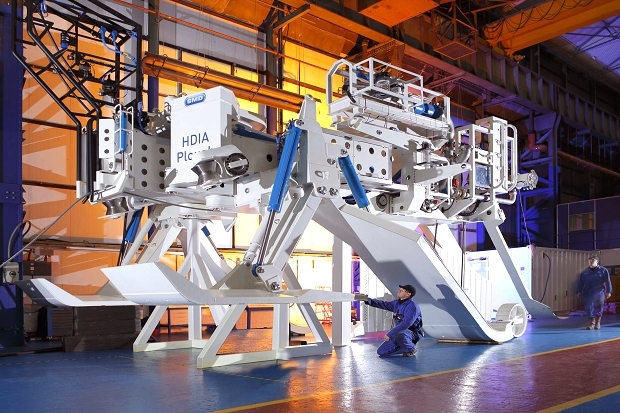 The HDIA plough is made by Soil Machine Dynamics at Wallsend on North Tyneside. The judges commended Mr Smith for capturing “the UK’s unique capability and innovation in heavy engineering”. The amateur category was taken by Shane Butler for his photograph of the work of a foundryman at the West Midlands-based engineering group Chamberlin & Hill. A separate award for amateurs taking pictures on a mobile device was won by Robert Watkins for his image of flange welding taken at Croft Filters in Warrington. The young photographer section was won by Sophia Campion for what the judge called an “abstract and mesmerising image” of a bundle of socks produced by Corgi Hosiery. The Carmarthen-based manufacturer holds a Royal Warrant and exports 60 per cent of its output to the United States and Japan.